YouTube TV is a premium video streaming service from Google, priced at $35 per month. (They’ve recently announced that they plan to up the fee to $40.) Unfortunately, it’s only available in the US, but you’ll be able to gain access worldwide by using a VPN. Here’s everything you need to know to get started, including how to watch YouTube TV from anywhere on a number of different devices. The YouTube TV service was introduced midway through 2017, representing Google’s first real foray into a paid subscription model. YouTube itself needs no introduction, and they’re hoping to build on that reputation with a fully monetized service. This includes the ability to stream live content from ABC, CBS, FOX, NBC, ESPN and various other broadcasters, including local news and sports. It began with 40 channels, and YouTube TV continues to add new content, recently confirming the exclusive rights to stream Seattle Sounders MLS games. They also secured the rights to NBA TV, the MLB Network, TNT, Cartoon Network, Turner Classic Movies and various others. While it’s still in its infancy, they’ve managed to entice over 300,000 subscribers in a short period of time. It’s a fraction compared to their real competitors, such as Comcast, but it’s definitely a step in the right direction. The streaming landscape is packed with serious competition like Netflix and Amazon Prime, but Google is hoping to tap into new markets that have turned away from traditional forms of premium TV content. They’re looking to the generation that skipped cable entirely, hoping to entice people by offering a rolling deal instead of a contract, along with various additional perks. Charging a flat fee of $35 is one way of building a user-base, while they also offer a free trial with no strings attached. It’s not the cheapest deal out there by any means, (especially compared to Netflix) but live TV does make it more attractive. While Netflix and Amazon Prime have heaps of shows to choose from, live TV could be a game-changer, especially when you throw sport and news into the mix. 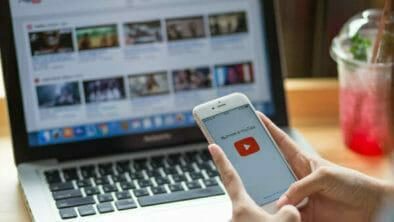 Google can also lean on the obvious brand recognition of their popular video sharing website, and it seems to have worked in terms of getting the service started successfully. As of February 2018, the service is restricted to a range of cities within the US. You can check out the list of available locations here. The list is sure to expand in time as long as the service is reasonably successful, but that’s no good for people at home and abroad who would prefer to watch YouTube TV now. This means that you won’t be able to watch local news and sports from a different city, even if you’re still in the US. To unblock YouTube TV you’ll need to use a VPN. The easiest way to stream YouTube TV outside the US is with the use of a VPN, or Virtual Private Network. A VPN works to provide an additional layer of security while you’re online, and it can also be used to spoof your location. The user selects from a list of secure server locations, which also gives you a corresponding IP address to match. A US IP can be used to access YouTube TV, circumventing any blocks. Connection Speeds – a VPN can have a slight impact on the overall connection speeds as it encrypts the data going to and from your device, so you’ll need to get one that will put the least amount of strain for the best results. US Server locations – A range of US server locations will be necessary to obtain a US IP address. Ideally, the more servers they offer, the better. Pricing – YouTube TV isn’t the cheapest, but a decent VPN doesn’t need to break the bank. No Bandwidth Caps – Unlimited bandwidth will allow you to stream 24 hours a day with no slowdown. We’ve picked four of the best VPN providers for watching the latest YouTube TV content from anywhere. #1 ExpressVPN – Lightning-fast speeds, perfect for HD streaming. ExpressVPN is a premium provider based in the British Virgin Islands. It’s arguably the best VPN for YouTube TV because of the lightning-fast speeds that can be accessed from anywhere around the world. It makes it ideal for streaming content, with no lag or issues to report during the testing phase. The price makes it slightly harder to justify compared to the others on our list, but ExpressVPN does make up for it with amazing speeds. They also have a handy 30-day money-back guarantee which can be used to test the provider out with YouTube TV. Read our ExpressVPN review, or Sign up with ExpressVPN here. #2 NordVPN – We tested very fast server in the US. If you’re more interested in enhanced security to go along with access to YouTube TV, you can’t go wrong with NordVPN. They’re one of the more trusted providers when it comes to looking after your personal data and user logs, and US server speeds are more than adequate. It only takes a few clicks to get started with their client app, which is easy to get to grips with after using it once or twice. It’s slightly more expensive for a month, so it could be worth committing to a longer deal to get the best value for money. No fuss 30-day guarantee if you’re not impressed with their service. Read our NordVPN review, or Sign up with NordVPN here. #3 PrivateVPN – Slightly cheaper than the competition. PrivateVPN has a range of high-speed servers located in Atlanta, Buffalo, Chicago, Dallas, Las Vegas, Miami, New York and Phoenix. Their range of US servers is perfect if you’re aiming to unblock YouTube TV to watch a specific stream, making it a viable option. It’s slightly cheaper than the competition with no real downsides. They also offer a simple 30-day money-back guarantee that can be redeemed with no problems, so you can trial the provider before committing to a cheaper deal. Read our PrivateVPN review, or Sign up with PrivateVPN here. #4 PureVPN – Decent for Unblocking YouTube. The final provider we’ve selected to stream YouTube TV is PureVPN. They have numerous servers in the following US locations; Phoenix, Los Angeles, San Francisco, Miami, Atlanta, Chicago, New Jersey, New York, Houston, Ashburn, and Seattle. There’s no traditional cap on bandwidth or data usage, but they do have a ‘fair usage’ policy, which isn’t perfect. The pricing scale also makes it one of the most expensive on our list. Speeds are decent, but there is a caveat that you’ll have to consider carefully. Read our PureVPN review, or Sign up with PureVPN here. Picking the best VPN for YouTube TV will let you choose from the full range of programming, so it’s well worth checking out. The service may be small at the moment with just 100 markets in the US, but coverage is sure to grow in the coming months. We recommend using ExpressVPN to unlock YouTube TV outside of the US. Next > Is What You Do Online Being Watched? Yes! It's called "Targeted Advertising"